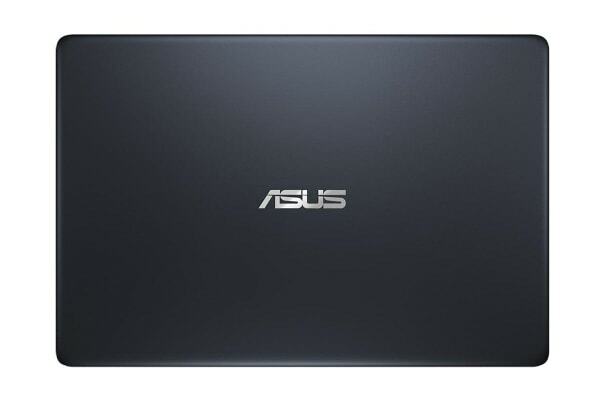 The revolutionary ASUS 13.3” ZenBook Notebook is a laptop that’s ultra-light, ultra-thin and ultra-powerful. Despite being compact, it doesn’t compromise on performance. The ASUS 13.3” ZenBook Notebook is powered by 8th Generation Intel Core i7 processor, 16GB RAM and superfast 512GB SSD let you blast through all your tasks with ease. To give you the biggest screen in the least space, ZenBook 13 has a beautiful NanoEdge display, with an ultrathin bezel that gives it an impressive 80% screen-to-body ratio. This amazing 13.3” Full HD display fits in an ultra-compact frame. The wide 100% sRGB colour gamut ensures vivid and accurate colours, so everything looks more natural. And its 178deg wide-view technology ensures that image quality isn’t degraded when viewed at extreme angles. Accessing your ZenBook 13 couldn’t be easy or more secure. Thanks to the built-in fingerprint sensor in the touchpad and Windows Hello, there’s no need to type in your password every time to log in: Just a single touch is all it takes! The sensor makes it easy to log in while on the move and there’s no chance of anyone sneakily spying on your password! 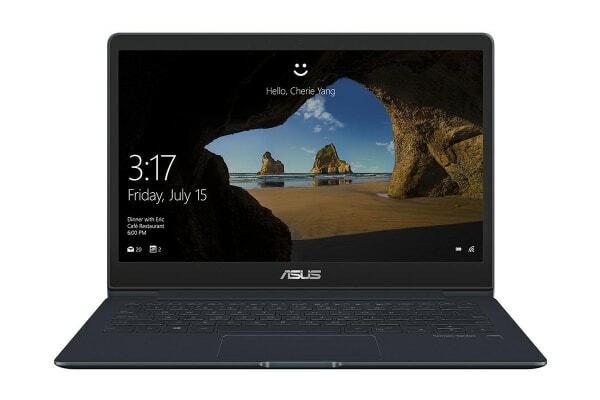 ZenBook 13 incorporates ASUS Wi-Fi Master technology, so you’ll enjoy faster and more reliable Wi-Fi connections at greater distances than ever before. This exclusive technology brings you the full benefit of the 6x faster, MU-MIMO-capable dual-band 802.11ac Wi-Fi in ZenBook 13, with speeds of up to 867Mbps. Additionally, the MU-MIMO capability means you can experience 3x faster Wi-Fi performance in multi-device environments. Combined with the latest Bluetooth 4.2 that lets you connect your favourite devices with less impact on battery life, ZenBook 13 gives you the freedom to do whatever you need, wherever you want to! To create the powerful Harman Kardon-certified audio system in ZenBook 13, the ASUS Golden Ear team developed the next generation of ASUS SonicMaster technology. With its tailored mix of superior hardware – including low-distortion smart-amplifier technology that can boost volume by up to 3.5x and cleverly designed software, ZenBook 13 delivers the ultimate audio experience. Designed for non-stop, on-the-go lifestyles, ZenBook 13 offers the freedom of all-day battery life. 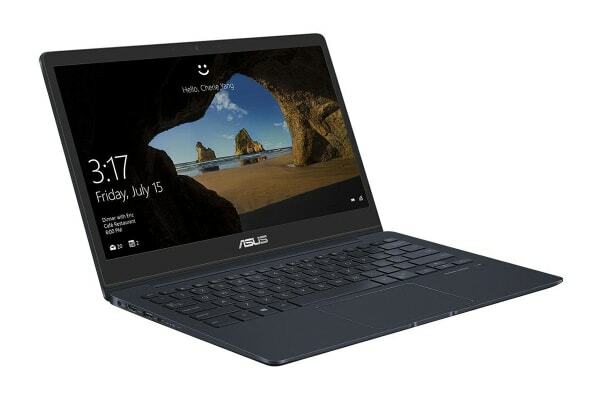 A specially designed 50Wh lithium-polymer battery gives ZenBook 13 up to 15 hours of autonomy. Lithium-polymer batteries retain most of their original charge capacity even after hundreds of charge cycles – giving them a lifespan that’s up to 3x longer than standard batteries, so you’ll have less need to worry about deteriorating battery performance.